A high school valedictorian was abruptly cut off mid-speech by school administrators just as she was about to mention alleged sexual assaults on campus and how the school allegedly failed to take victims’ accounts seriously. 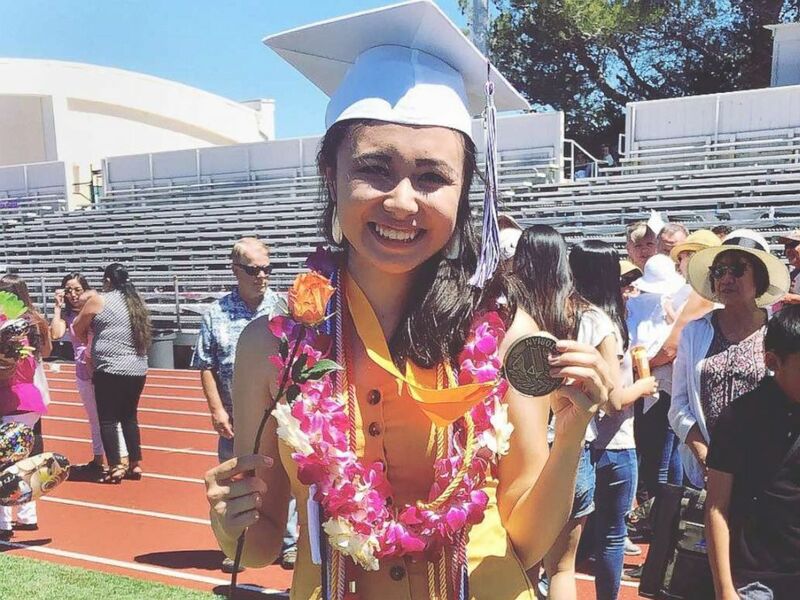 Lulabel Seitz, 17, was silenced during her graduation speech when she says administrators from Petaluma High School realized she was about to talk about alleged assaults — including one against her — and the treatment of victims. Seitz, who will be attending Stanford University in the fall and double-majoring in applied mathematics and economics, said she wasn’t going to raise the issues — until administrators specifically told to keep it out of her speech. Even before graduation, Seitz said officials from the school were putting pressure on her to avoid any mention of the alleged assaults. She said she was pulled out of her last class in high school to make sure she got the message. So about four minutes into her speech last Saturday, just as she was about to mention the alleged assaults, Seitz said administrators cut the mic. Lulabel Seitz, 17, says school administrators cut off her microphone just as she was going to bring up alleged sexual assaults at her high school. “I just finished my speech without a microphone,” she said. Seitz later recorded her full speech and published it on YouTube. The video, which shows the moment she was cut off while speaking at graduation, had been viewed more than 45,000 times as of Saturday afternoon. Seitz added that she wasn’t surprised by the school’s alleged attempt to keep her quiet. 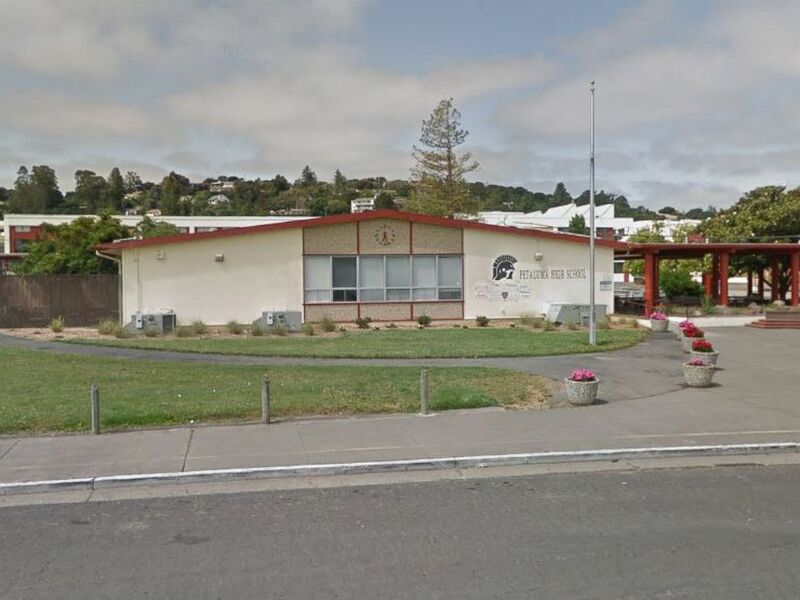 ABC News reached out to Petaluma High School but did not immediately hear back. The Petaluma City Schools, however, provided a statement. “Administrators and staff in Petaluma City Schools care deeply about the safety and well being of our students. Due to student privacy issues, we cannot and should not respond with specific information. We can say that when issues of sexual assault come to our attention, local law enforcement has initial jurisdiction and determines the course of action,” the school district said. Petaluma High School at 198 Fair Street in Petaluma, Calif. as seen from Google Street View in May 2017. “If an alleged event happens off campus or on, we work to support our students with appropriate discipline, extensive counseling, and whatever measures we can take to protect our students while they are in our learning environment,” the statement said. Seitz said she emailed the superintendent of the district, Gary Callahan, but had not heard back as of Saturday afternoon. One of the alleged assaults Seitz planned to bring up during her speech was an attack she says happened to her last fall. She said a student assaulted her on school grounds. But administrators didn’t suspend or expel the student, she said, and instead encouraged her to drop it. “They told me not to speak about it,” she said. She said the incident was reported to police and the student, whom she didn’t name, was arrested. ABC News reached out to the Petaluma Police Department to confirm the incident and arrest but not did immediately hear back. Still, Seitz said throughout the process, administrators appeared to want to protect themselves, and not students. ABC News’ Wil Cruz contributed to this report.